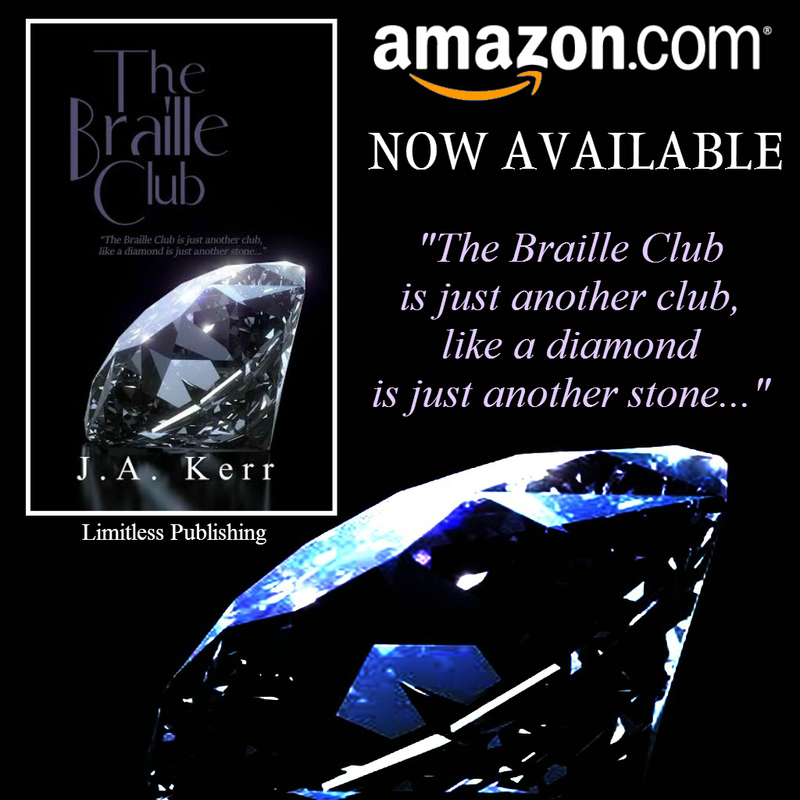 The Braille Club Now Released! 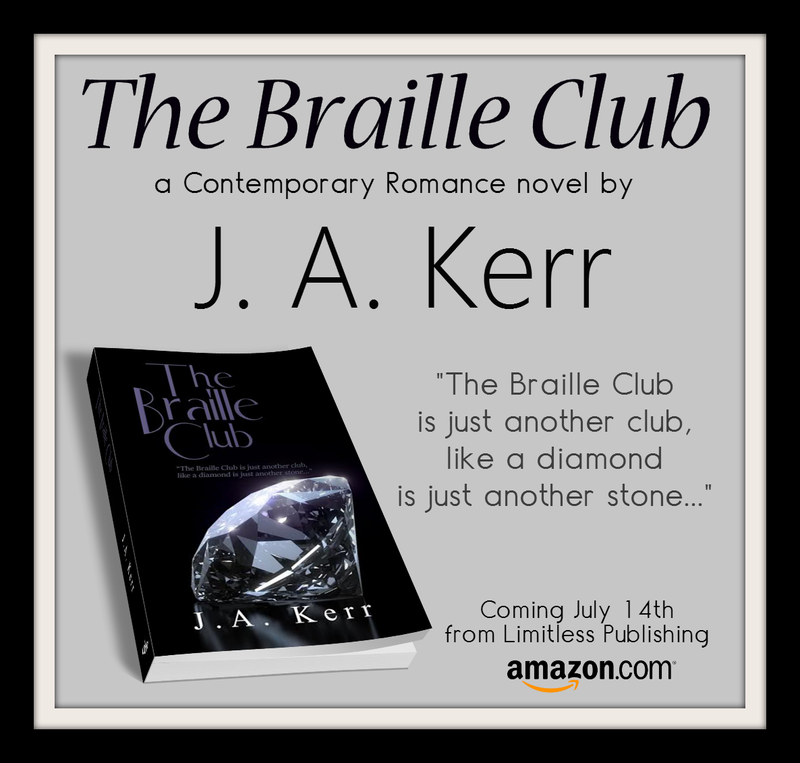 THE BRAILLE CLUB by J.A. Kerr is available for purchase! JA (Julie Ann) Kerr was born in the spring of 1967 at Paisley’s Ross Hospital in Scotland and grew up in Glasgow. She was an office administrator and latterly a recruitment consultant before marrying and relocating to The Netherlands with her husband. After two years, she moved to Cheshire where her first child was born and returned to work part-time. Her final relocation took her back to her home town of Glasgow where she welcomed the arrival of her second child. 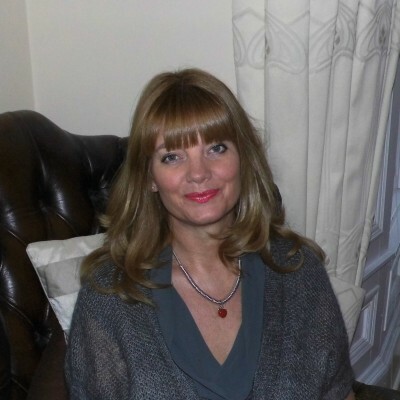 She raised her family whilst harbouring dreams of becoming a writer. 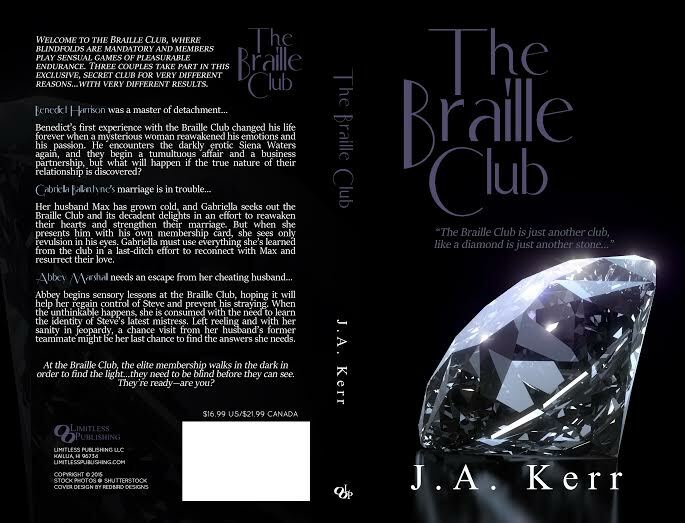 In September 2013, she started her first book and she is currently working on a sequel. 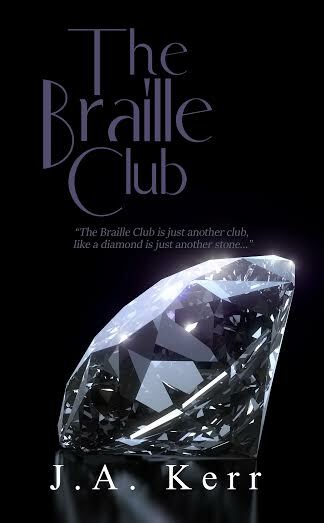 Today, we are extremely excited to reveal the cover of THE BRAILLE CLUB by J.A. Kerr!! It is absolutely STUNNING! Congrats, J.A. Kerr! Happy Cover Reveal Day!